Architecture conventionally contains use, but it doesn’t often look like how it’s used. This project does. 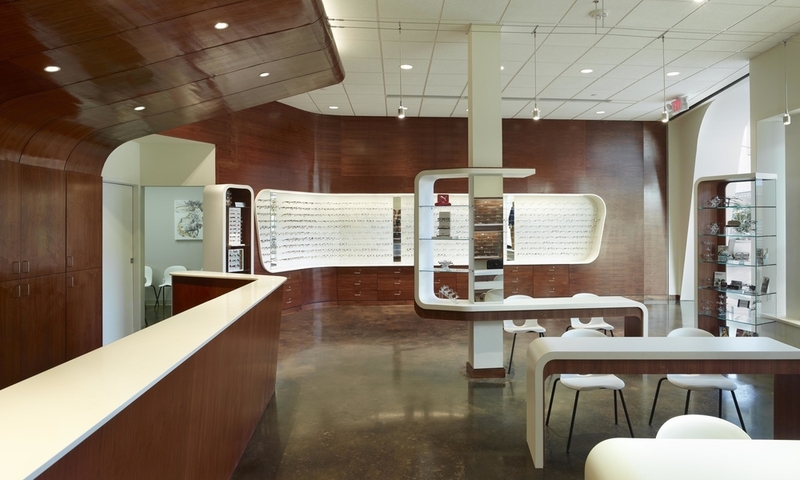 Elite Eyecare + Optical presents the form of its familiar objects as a huge fragment in space. 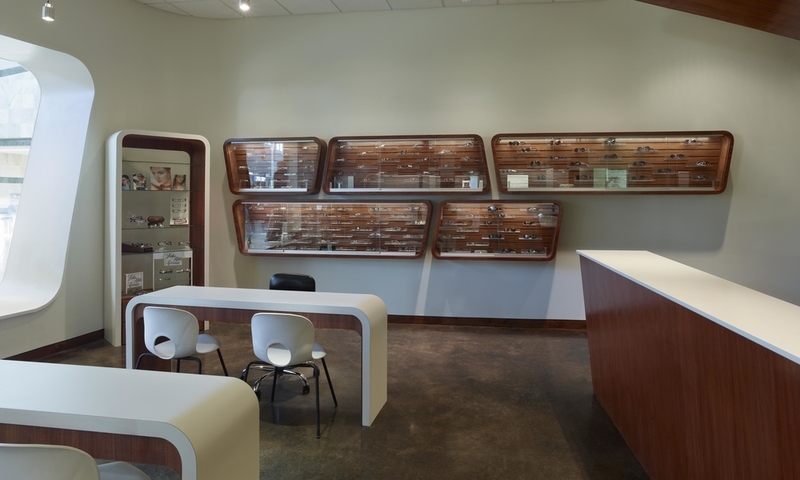 More than merely exaggerating the scale of an object into the size of a building, this project scales up the temple piece and lenses of a pair of eyeglasses to its appropriate use. The profile over the entrance defines entry and signifies the space’s retail function to passersby in the mall concourse. Another temple piece is extruded upward to make a reception counter. 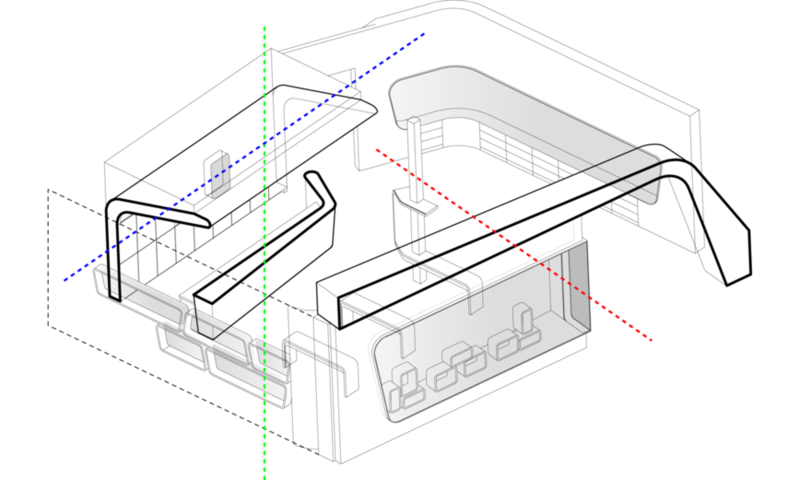 The profile of a temple piece extruded in section above this counter defines the reception space from above. This project presents dual characteristics of materials and poche. 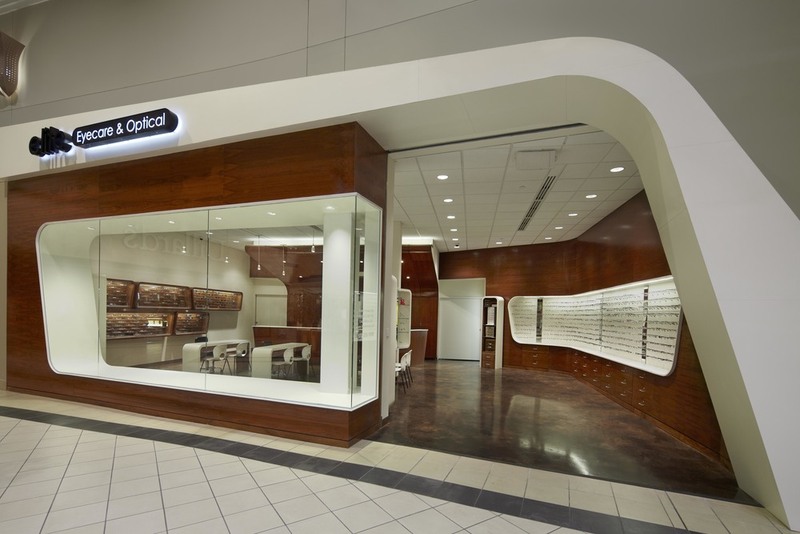 White retail displays (which resemble lenses) are sometimes subtracted from a rich and dark walnut wall, whereas in other locations, walnut displays are applied to a soft white wall surface.